On the weekend, a friend of mine had a house warming party to welcome a housemate to her bachelor(ette) pad. I love parties where everyone brings a plate of food along to share, as you get to taste so many wonderful dishes. Add a few glasses of champagne and I am hard pressed to think of a better way to spend a sunny afternoon. My friend’s new housemate is a gorgeous girl of Sri Lankan heritage, so there were mountains of fabulous Sri Lankan treats such as samosas, spiced chick pea patties and coconut rice, as well as homemade custard filled profiteroles (which were so good that The Brooding Architect ate 4), rum balls and a very impressive looking white chocolate and raspberry tart! My friend, The Ex-Frustrated Public Servant asked me to post the recipe for my contribution on the day – ‘Ridiculously Easy Guacamole’ – the perfect thing to bring along to a party with some natural corn chips, if you are running short on time. If you are a little bit more organised, I suggest serving it with some homemade tomato salsa, which is also ridiculously easy to whip up if you have a food processor or blender. Halve the avocados. Remove the seeds, use a spoon to scoop out the flesh and place into a mixing bowl. 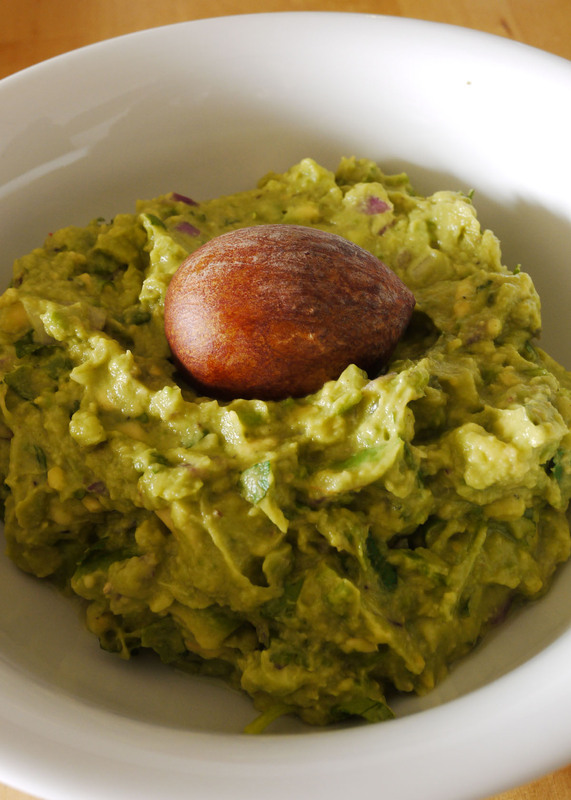 Roughly mash the avocado with a fork or potato masher until chunky. Add the remaining ingredients and combine with a fork. Place into a serving bowl. Serve with natural corn chips. 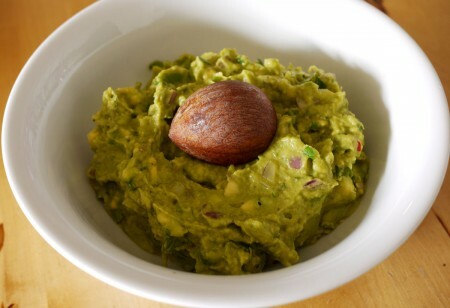 If you don’t plan to serve the Guacamole immediately, place an avocado seed on top of the dip. I read somewhere that this prevents the Guacamole from turning brown. I have no idea if it is true – but I figure it can’t hurt! ummm…just an observation, but has the Brooding Architect eaten ANYTHING other than dessert this year? Witness Your Honour 4 x profiteroles, chocolate and raisin cookies, rice pudding etc etc need I go on? I fear the poor fellow must be in need of a rare steak!